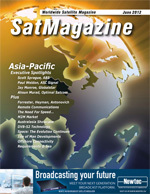 Scott Sprague brings a myriad of experiences to Asia Broadcast Satellite (ABS) and, most importantly, the experience of successfully running a sales organization of a global satellite operator while he was with SES. In addition to serving as a member of the Executive Management Team, Scott is principally responsible for managing the global sales and service operations of ABS. Paul Weldon joined ASC Signals team as Senior Vice President of Global Sales in January, 2010. He is responsible for leading the companys worldwide sales team and driving revenue growth by more than 100 percent within five years. He has been building and leading sales teams for high growth tech companies for more than 15 years. Prior to joining ASC Signal, Paul was Vice President of Sales of Trusonic Inc., a leading provider of digital audio distribution for commercial applications. During his tenure at Trusonic, Weldon helped the company achieve 40 percent sales growth in one year. Jay Monroe has held the Chairman position at Globalstar since the purchase of the assets of the Company by Thermo Capital Partners in April 2004. He was previously elected as the Companys CEO in January 2005, a position he held until July, 2009. He resumed the position of CEO following the retirement of Peter Dalton in July 2011. Ahsun Murad is the President and CEO of Optimal Satcom, which he co-founded as a spin-off from Lockheed Martin Corporation in 2002. Mr. Murad is responsible for driving Optimal Satcoms business and operational growth. His management and leadership skills are focused on advancing the companys role as the worlds leading provider of enterprise-level satellite capacity management systems. Increasing data throughput and enhancing network efficiency are important aspects of the fast-paced development of standardized and customized satellite communications at sea, according to Marlink. The global wireless M2M market was strong in 2011, displaying growth in all major world regions and vertical segments. Berg Insight estimates that shipments of cellular M2M devices increased by 35.3 percent to a new record level of 50.8 million units. Adjusted for churn, this resulted in net additions of 29.3 million M2M connections in 2011, taking the worldwide number of cellular M2M subscribers to an estimated 108.0 million. Until 2016, Berg Insight forecasts that shipments of cellular M2M devices are estimated to grow at a compound annual growth rate (CAGR) of 24.6 percent to reach 152.2 million units. In todays global business environment, its all about speed: a quicker time-to-service or time-to-market, swifter exchanges of information, faster decision making, the I want it now mentality. Back in the mid nineties, if you had rated on a scale of one to ten the prospects of the Isle of Man developing a successful space and satellite industry, most savvy observers would probably have opted for a figure near to zero. Thousands of times each day, business owners and IT managers diligently search for communications services that can help meet their demanding networking requirements at a reasonable price. What a difference a decade makeshas the Asia-Pacific (APAC) now become a net exporter of a wealth of television programming? Creating an effective network infrastructure in the worlds remotest locations is increasingly essential for mining companies. Modern communications solutions deliver the same levels of performance and availability as they expect from their corporate networks. Despite some previousand perhaps justifiabledoom and gloom, there was a noticeable spirit of optimism at the Cannes MIPtv programming market in April, and we make no apology for using the 3DTV focus at Cannes as our reason for a major examination of 3Ds prospects for satellite operators. Each passing year brings advances in space systems and technologies, as well as new applications and services that rely on them. There is a natural evolution of capabilities as governments and companies push the boundaries of what is possible, seeking ways to improve the lives of their citizens or customers. A number of events in 2011 marked a period of transition during this long-term process of capacity-building, as some major programs ended while others started or expanded, often leveraging the knowledge and physical assets left behind by their predecessors. China National Offshore Oil Company (CNOOC) needed to provide integrated voice, video and data networks to improve communications among its offshore oil and gas drilling rigs, production platforms, offshore facilities, corporate headquarters, Internet and local PSTN networks. A TDMA based network was sought to replace an existing SCPC network. The new network needed to support both star and mesh topologies for a mix of stationary platforms as well as ships. CNOOC chose Gilats SkyEdge II System to implement the new VSAT network infrastructure. SkyEdge IIs high performance and low Total Cost of Ownership now provides a networking solution fulfilling CNOOCs needs.